Hey there, everyone!! This post is going to be short and sweet, because I am in Texas with limited internet access. I will update with supply lists & instructions when I get home...but I had to at least share this card with you! I love how well this paper line mixed with the flowers & trim...and all the sequins!! I hope that you enjoyed my card, and once again...I do apologize for the shortness of my post, and I will update it with the rest of the information later. But, while on vacation in Texas....it's just not happening! I hope that you have a wonderful rest of the day! I just LOVE this lea!! sooo pretty!!! OMG! I am totally in love with this beautiful card!!! Is the sentiment a stamp? Would love to make a card with this sentiment for my husband for our 15th wedding anniversary :) Thank you SO much for the inspiration! Thanks so much for your sweet comment! It isn't a stamp, actually. It is from the Glitz Design "Uncharted Waters" collection, in the cardstock title stickers. 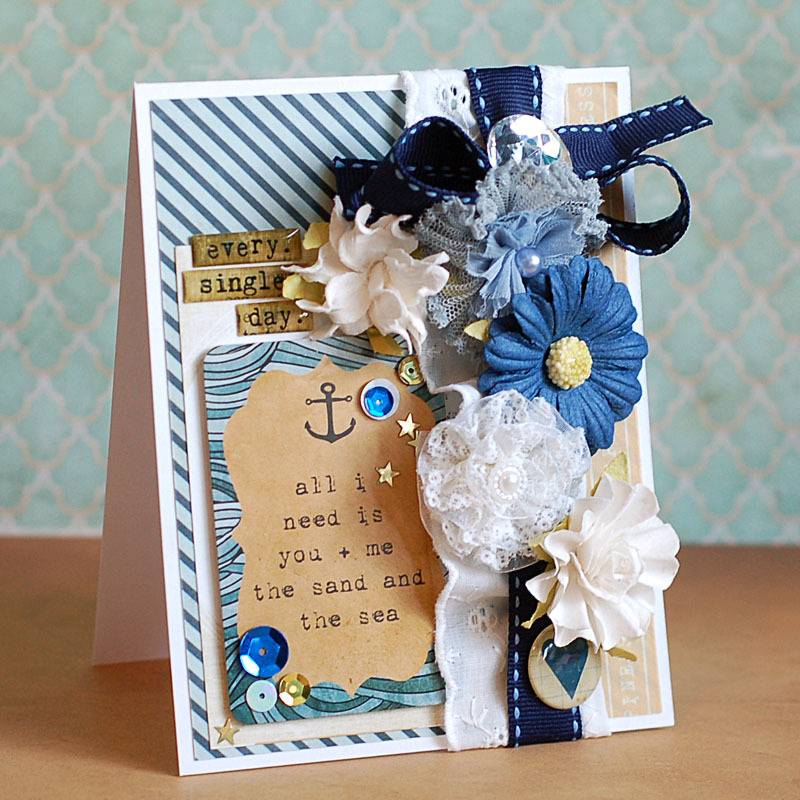 That entire collection is a gorgeous beach/nautical theme, so definitely check it out!